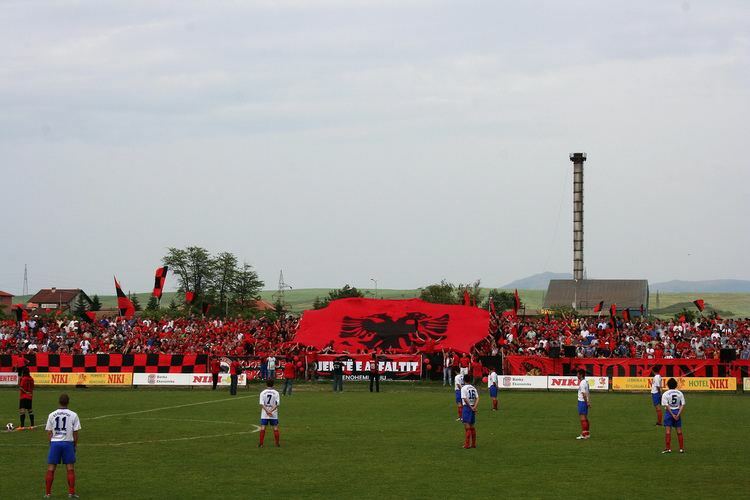 Gjakova or Dakovica (Albanian: , Serbian: , Turkish: , see names), is a city and municipality in western Kosovo. It is also the administrative centre of the homonymous district. The municipalitys population in 2011 stood at 94,556. The city is located at 42.39°N 20.43°E? / 42.39; 20.43. 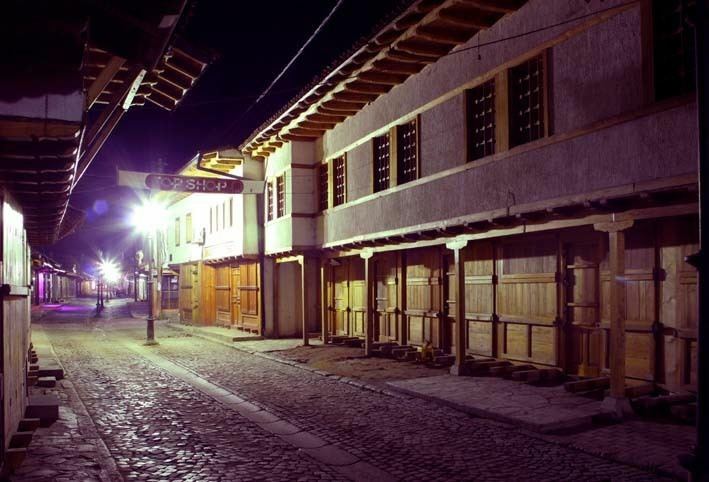 In the Ottoman defter (tax registry) of 1485, the "village of Dakovica" had 67 households, among which there was the house of "Vukasins son, the priest". Based on the study of the names, only two household heads were of possible Albanian origin. In the 17th century, Katip Celebi and Evliya Celebi mention this place as Jakovicse, with 2000 houses and 300 shops. The town had developed into an Ottoman trade center on the Shkodra–Istanbul route, with the marketplace being by the Hadum Mosque, built in 1594 by Mimar Sinan, financed by Hadum Aga. Evliya Celebi mentioned it as a town in 1662, and described it as a flourishing and attractive town with 2,000 houses built of stone with roofs and gardens. 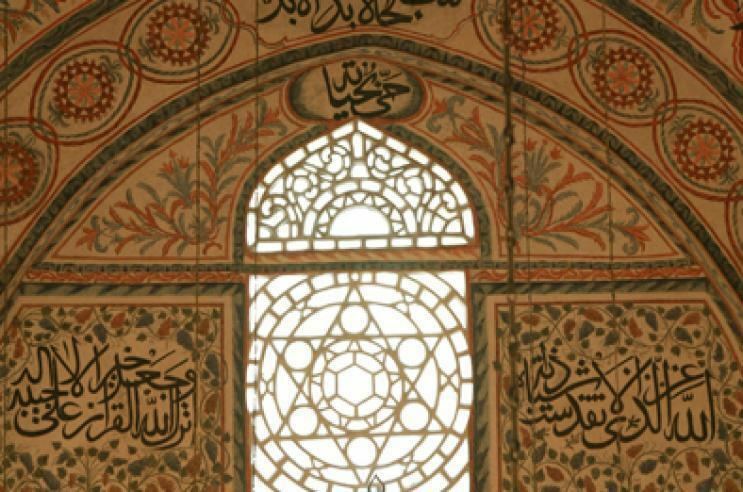 The public buildings were situated on a broad plain and included two richly-adorned congregational mosques, several prayer-houses, some inns with leaden roofs, a delightful bath-house (hamam), and about 300 shops like nightingale-nests. Gjakova built an economy based on farming and agriculture, lower trade and some types of manufacturing workshops which mainly produce for the needs of city-based products as imported cases. After World War II, Gjakova has built an economy based on industry and agriculture but also in the service sector. Nowadays, these subsequent shifts in transitional societies are escorted with shifts in the economic structure of the city. Therefore, Gjakova has an economic structure that is based on two pillars: in the private business sector and social business sector which is currently being privatized. Private business sector is in expansion and the main indicators qualify it as the main component of Gjakova’s economy. 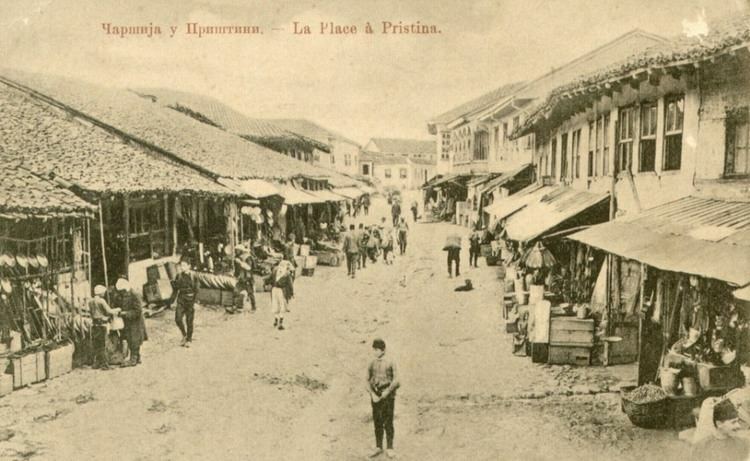 The Old or Grand Bazaar (Carshia e Madhe) in Gjakova is the oldest bazaar in Kosovo, and it served as an Ottoman trading centre and heart of the town economy. 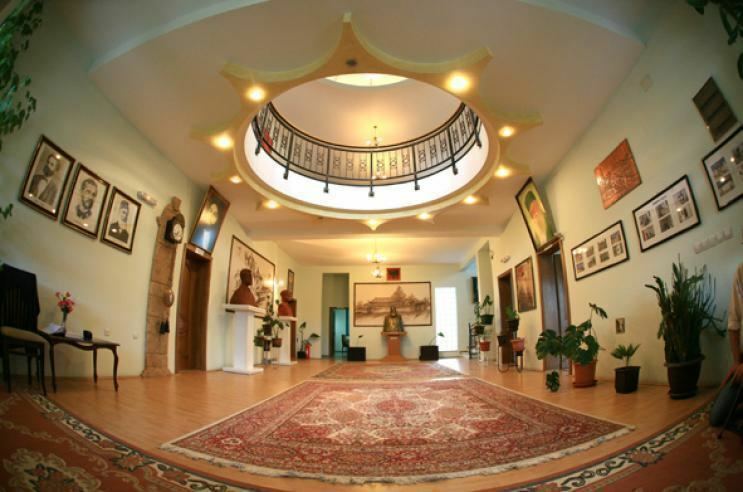 It suffered damage during the Kosovo War but has since been renovated. The Hadum Mosque, built in the 16th century, lies by the bazaar, and includes a highly decorated graveyard, where the town notables were buried. Within the mosque complex were the hamam (Turkish bath) which was destroyed in 2008, the "Old library" from 1671, damaged in the Kosovo War, and also a meytepi from 1777. The Bazaar is linked to the city centre, just five minutes away via the Islam-Beg Bridge. The bazaar covers an area of about 35,000 m2 (380,000 sq ft) and the length of its main road is 1 km, with about 500 shops situated along it. It is, however, still home to an active mosque, several turbes, and a clocktower. Hadum Mosque, located in the Old Bazaar, built in 1594 by Ottoman architect Mimar Sinan and financed by Hadum Aga. The mosque has played a significant role in the urban character of the town from the 17th to 20th centuries. Its construction was followed by the appearance of the craftsmanship around it, which increased the importance of the town. The mosque holds historical value and is viewed of as a sacred monument. Sheikh Emins Tekke, built in 1730 by architect Sheikh Emin. It belongs to the Sufi order. The complex includes turbe (small mausoleums), samahanes (ritual prayer-halls), houses and fountains. It is characterized with detailed sacral architecture, with wood-carved elements. 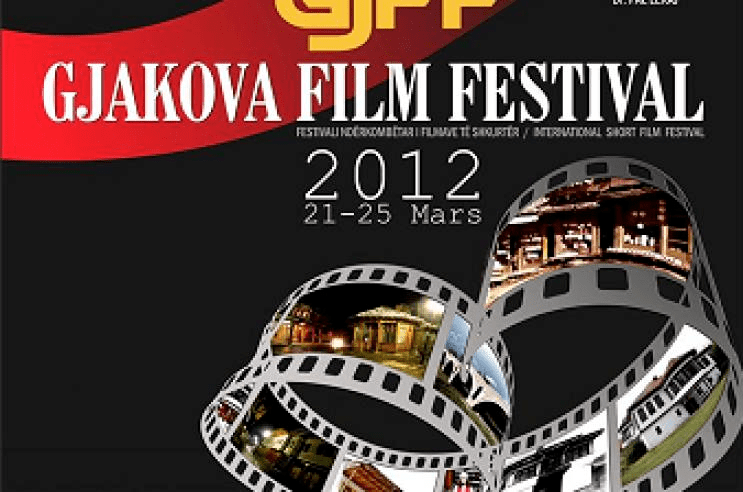 Events and festivals in Gjakova are not as much in numbers, as they are highly valued. The historic city of Gjakova, Kosovo, especially the Old Carshia, is the hub of many outdoor and indoor festivals, cultural events and street parades. Many of them are seasonal and take place only one time, while others are organised annually for many years by various festival societies. All of them draw interest from the locals and visitors alike. Some of the events are organised by the city, some by private companies as well.